Are you a diehard fan of the Samsung Galaxy Note 7? If you are, then it must have made you sad to see the beautiful but dangerous smartphone being cancelled forever. Although the Note 7 is now dead and Samsung is in serious trouble with an estimated loss of over 17 billion USD due to the mishap, the Galaxy S8 is coming nevertheless. The OEM just has to WOW its customers with the S8 to the point that they decide to overlook the embarrassing incident and go for it. TechDroider has shared with us a concept video of the Galaxy S8 that seems capable of doing just that. 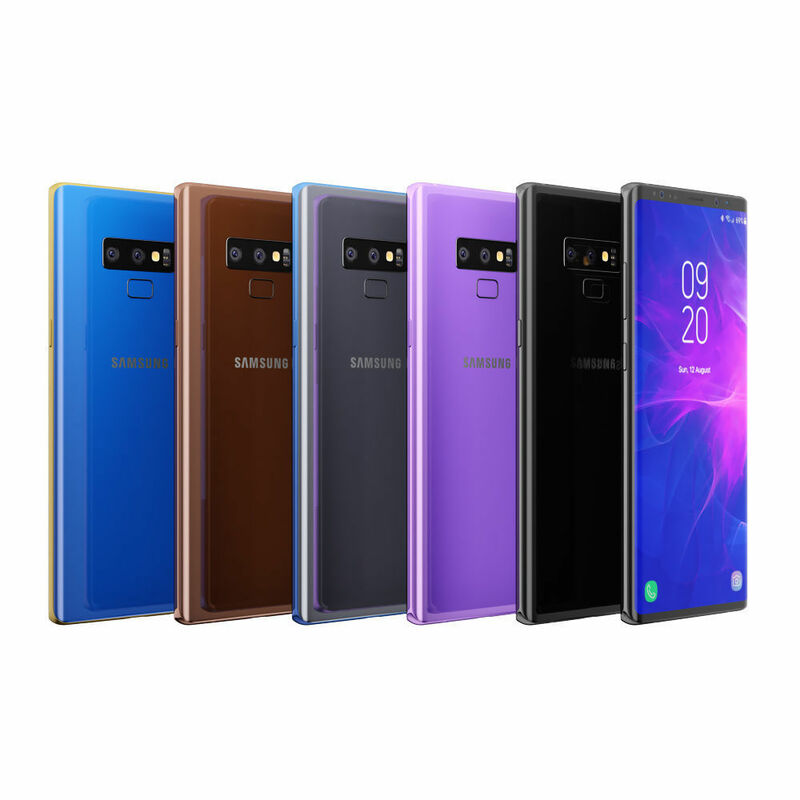 The render shows us four color variants of the S8, a dual rear camera setup and a full screen/bezel less Quad HD display without a physical Home button or a visible fingerprint scanner. Both of these are now a part of the display itself. The render also mentions the Exynos 8895/Snapdragon 830 chip inside the device as expected. Even though it's just a concept which isn't probably based on anything concrete, it would be interesting to see if the real Galaxy S8 manages to match up to this. However, I personally don't really care for the colors shown here. If being repetitive is a sin than Samsung had been guilty of it for a long time, before the Galaxy S8 changed things up radically. 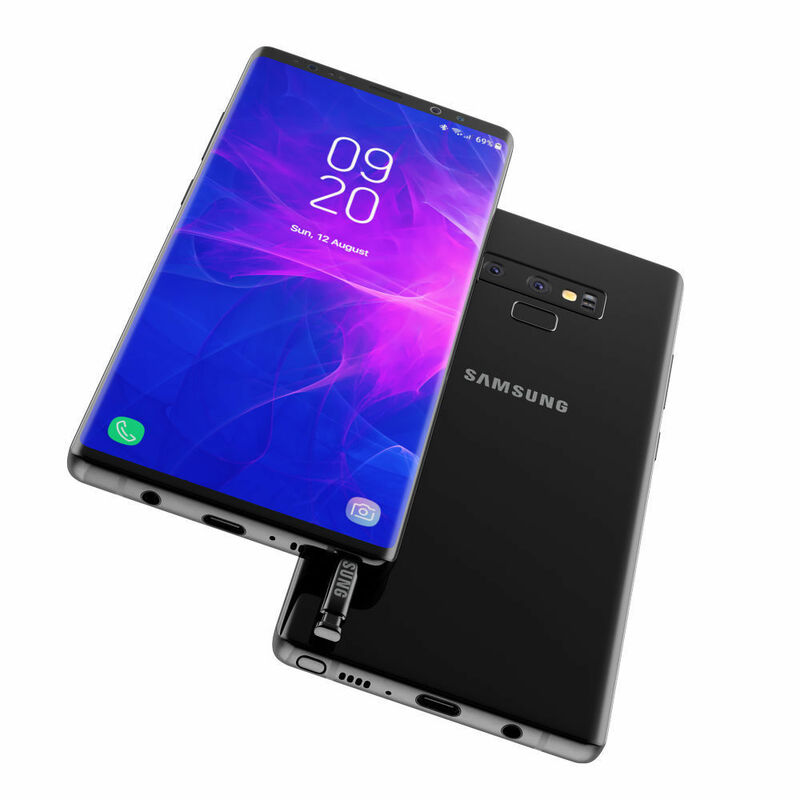 Make no mistake, the company was always on top of their game when it came to Android smartphones, but it was the Galaxy S8 that seriously revolutionized their design choices, albeit by sacrificing the fingerprint scanner's easy reachability! 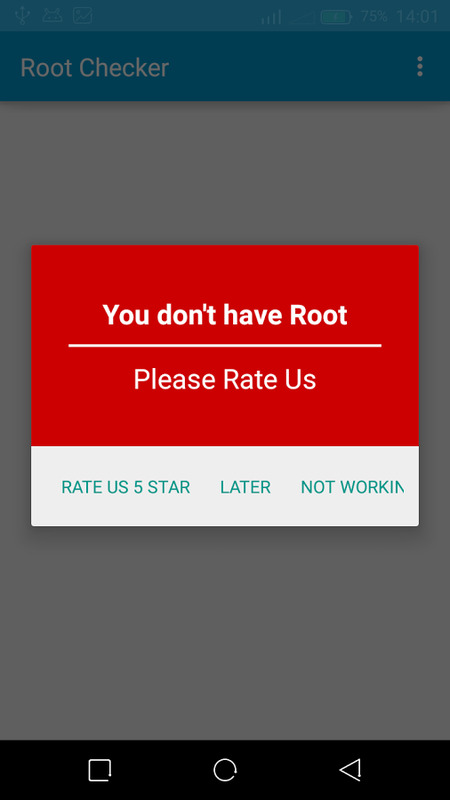 Although Samsung fixed that in the S9 and made everything better in subtle ways, the truth is that it felt somewhat repetitive nonetheless. 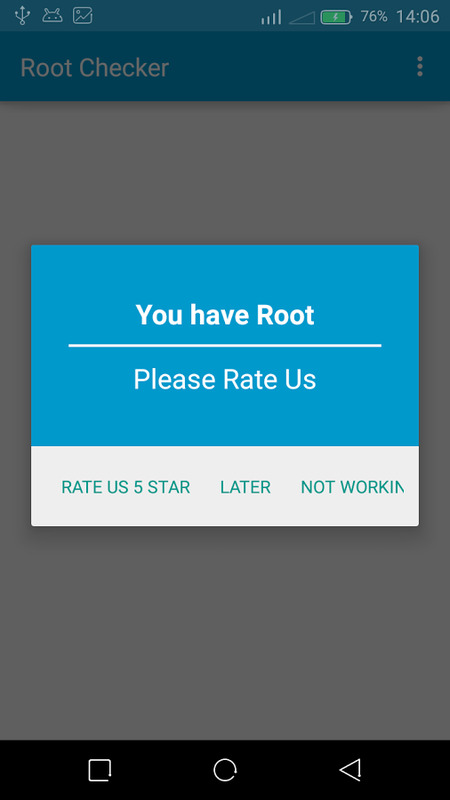 Most people who already have a Galaxy S8 did not feel the urge to upgrade, as shown my surveys because the S9 and S9+ look identical to their predecessors with minor, visible changes. The S9 was an improved version of the S8 and that's how it is being seen till date. 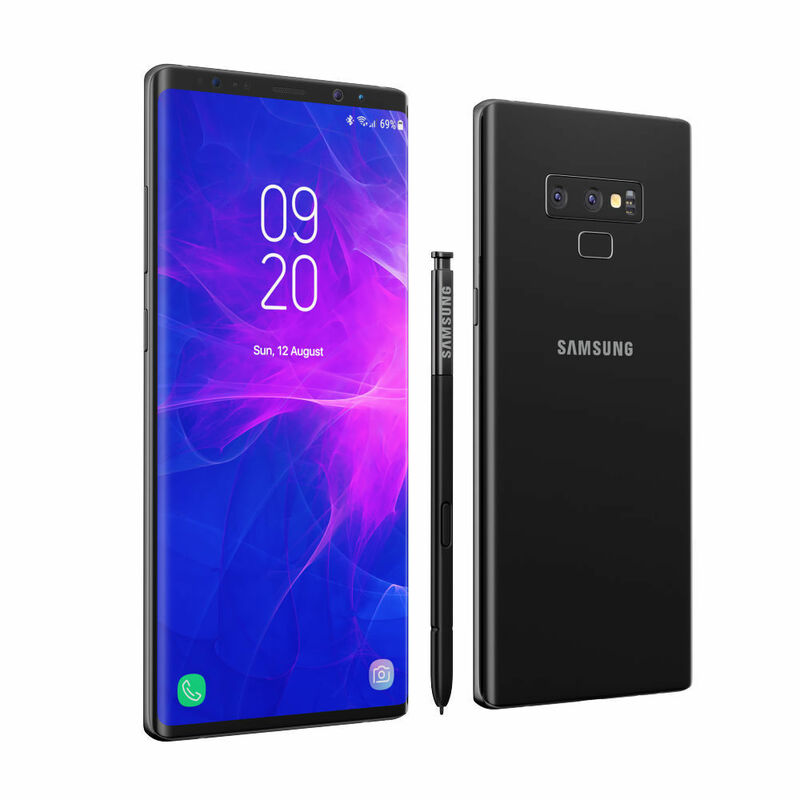 Unfortunately, that is a tend which will likely continue in 2018 for Samsung as the Note 9 renders here look a bit too much like the Note 8 from last year and while I am 100% sure that the smartphone will outclass its predecessor in every way, it still looks almost identical! What do you think? Let us know in the comments. All renders we are seeing here were made possible, thanks to the efforts of the brilliant team at CGTraders. 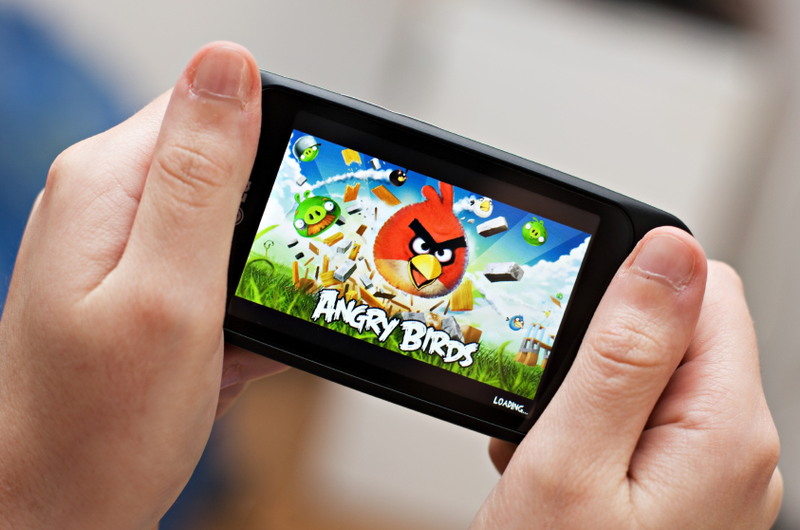 Smartphone games started off as a genre of gaming that could only appeal to casual gamers; something you would play to kill time while waiting for your turn at the dentist. However, things have since blown up way beyond those early days for mobile games as both iPhones and Android smartphones have become more powerful than our old desktop computers from the last decade! With so much computing power behind them, new Android and iOS games are stepping up to raise the standard every year and 2017 has been no exception either. On that note, let's now take a look at some of the best of what the Google Play Store had to offer to the Android population in 2017 so far. Personally, I love puzzle games and as soon as I was through the initial free levels, I bought the full version because it was so addictive that I couldn't just NOT play anymore! The task is quite simple in Shadowmatic; you will need to rotate and arrange absurd (and a bit spooky) looking shapes in such a manner that the shadow which they form on the wall next to them attains coherence. The animations are fluid and beautiful, the gameplay is addictive and things can get really challenging once you are past the early handholding. If you are even remotely interested in gaming then chances are that you have already played Minecraft on some platform or at least heard about it. It is the pixel-art sandbox game that has no equals and it's been finally launched on Android. You can literally do anything you want, be it exploring randomly generated worlds or creating that castle of your dreams. There is a $6.99 admission fee as well as in-app purchases though. The tower defense game which obviously draws its inspirations from the extremely fun and addictive Kingdom Rush series was released earlier this year and it has already gathered quite a huge fan following. Realm Defense: Fun Tower Game is free to play with in-app purchases just like most other games in the genre, but if you are willing to grind, you can progress without paying a dime. There are heroes, monsters, elves, beautiful backdrops, nice animations, super powers, multiple levels and as expected, quite a lot of towers as well! The list wouldn't be complete without at least mentioning Super Mario Go, which didn't perform as well as Nintendo had hoped but is still quite a decent game, albeit with a steep price tag. If you are in the mood to earn a little money while having fun, there are a lot of new and exciting games on www.online-casino-arabic.com waiting for you right now. The Google Play Store and the iOS App Store doesn't allow casino apps, but if you are into casino games, then you probably already know that there are a lot of more for you to check out on the internet these days, and some of them even have dedicated, downloadable apps of their own for both Android and iOS smartphones. However, a casino is only as good as the games they have so here are the top five mobile slot games that are definitely worth giving a try. Leprechauns were given a terrible reputation by Hollywood, but this popular game by NetEnt features a traditional leprechaun that you will actually grow fond of. There are stars, keys, horseshoes, acorns, rubies, four-leafed clovers and other symbols themed after the leprechaun mythos here in this 5 x 5 grid slot with cluster pay. 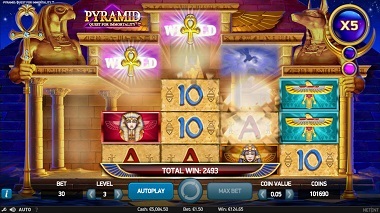 Another slot by NetEnt, Pyramid: Quest For Immortality has 5 reels and 720 paylines, but most impressively, the game features 96.48% RTP (Return to Payer), which means that players generally have a very high chance of winning here. If you like ancient Egyptian themes, then you will love this one. If you are a fan of the old westerns, then this game was made for you. Place your bets as you try to match whiskey glasses, cowboy boots, cowboy hats, twin handguns and much more in this slot based on the wild west of the old days. There are 5 reels, 9 paylines and it has an excellent RTP of 96.8%. With a 96.63% RTP, Mayana is famous for its bonus features that increases the chances of the player winning on each bet with multipliers going as high as 20x. It's a relatively conservative 3-reel slot with 27 paylines. As the name suggests, the game is based on the ancient Mayan civilization and the main symbols are themed after four animals. 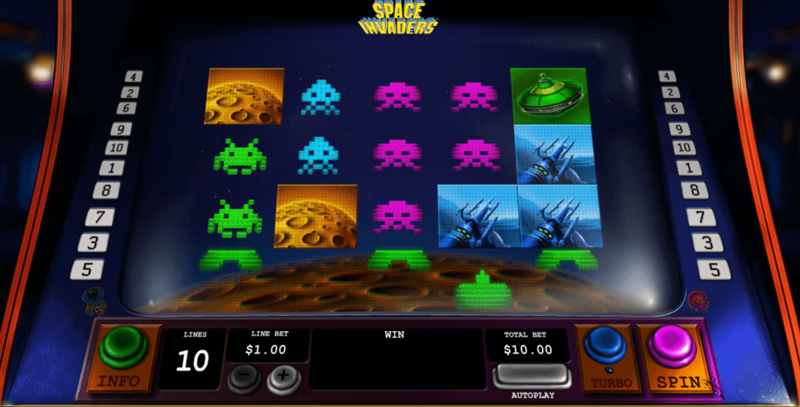 Playtech's Space Invaders slot game features 5 reels and 10 paylines, but as you might have already guessed, that's not the highlight here. Playing Space Invaders on your mobile feels like an instant shot of nostalgia, if you grew up with these retro games like we did. There are of course many more for you to check out, so this list could vary from person to person. Nonetheless, with more casino sites accepting mobile devices every day, it is only natural for this list to expand further. If you want to buy an Android Wear powered Smartwatch to pair with your Android Smartphone/Tablet, it's a very good idea especially with all the new features Available for the Wear platform. However, you might need to check if the Smartwatch you gonna buy will be compatible with your current Smartphone firmware/Android version. Android Wear is designed to work with Android phones running 4.3 or higher. In this tutorial we will show you how to use the Official Google Wear Compatibility Check tool to see if Wear's Smartwatches will work on your device or not. 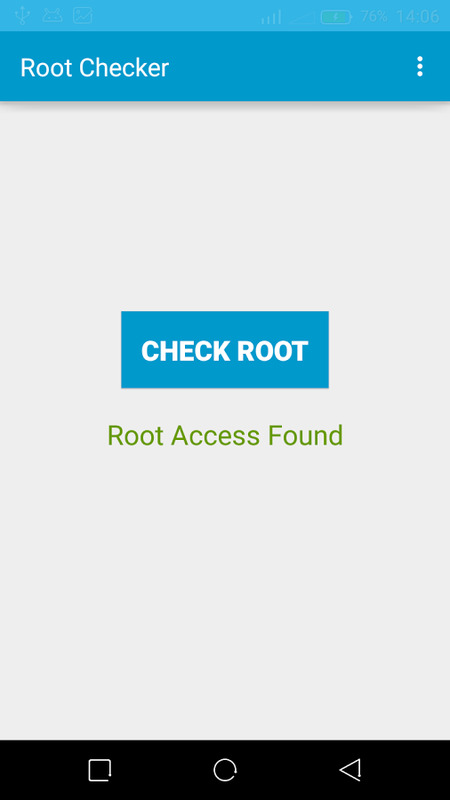 1- First Make sure that the Android Device that you want to Check it's compatibility (Smartphone/Tablet); is connected to the Internet. 2- Open any Web browser you have it installed on your device (Chrome is preferred). 3- In the Address bar write this URL and open it http://g.co/WearCheck (not case sensitive). 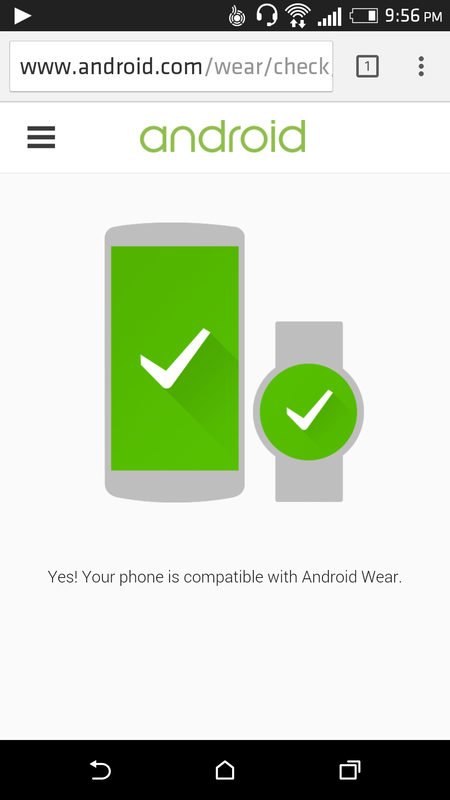 If you Got a Green Phone with a Green Watch logo, this means your device is Compatible with ALL Android Wear Powered Smartwatches. Hurray! 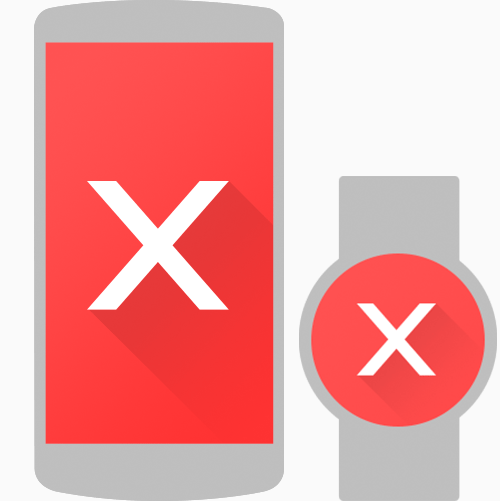 If you Got a Red Phone with a Red Watch logo, this means your device is NOT compatible with any Android Wear Powered Smartwatches and you might need to update your Smartphone firmware or upgrade it ot a newer model with Android 4.3+ in order to get this work. Hard luck!